Golden Euro Casino, a popular online casino designed especially for European players, has moved its gaming license to Antigua, one of the most trusted igaming licensing jurisdictions in the world. 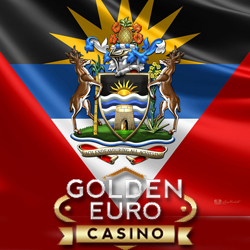 Golden Euro Casino is now regulated by the Antigua Gaming Commission, an official licensing and regulating authority for gaming activity that has been operating since 1999. Last fall, Golden Euro Casino, which has been serving European online casino players for many years, got a well-deserved face lift. It’s now more modern looking and it’s easier to browse the huge selection of slots and table games that the casino offers. Golden Euro Mobile Casino features some of the casino’s most popular casino games in a format designed for the smaller screens of smartphones and tablets. Golden Euro Casino offers hundreds of slots and table games from RTG including the new rock ‘n roll themed The Big Bopper slot game which is available in the download, instant play and mobile casino.